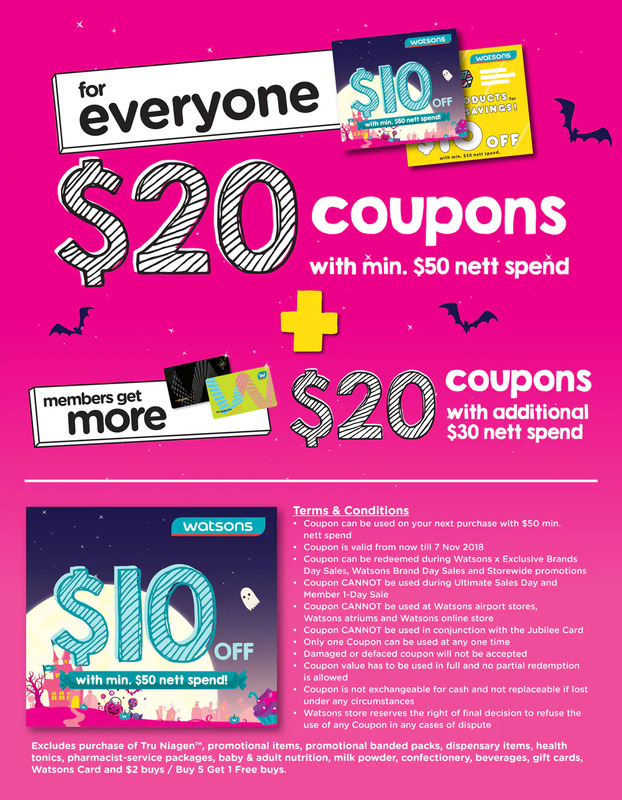 Fantastic weekend sales at Watsons you will regret missing out on! 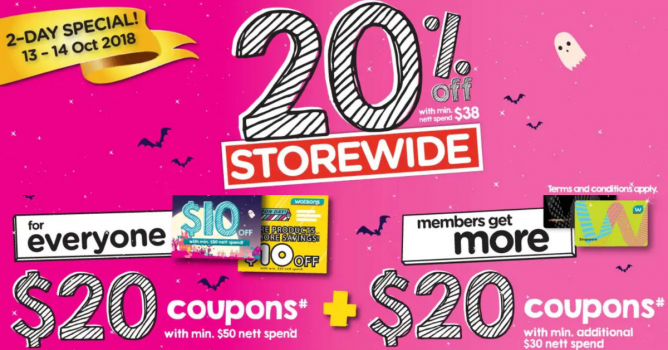 Storewide 20% off with min $38 spend + coupon giveaway! T&Cs apply. Shop now at the nearest Watsons stores or shop online! Promo valid on 13 & 14 October. • Promotion is valid from 13 - 14 October 2018. Please note that due to warehouse stocktake, coupons will only be issued for all online orders placed from 14 October 2018. 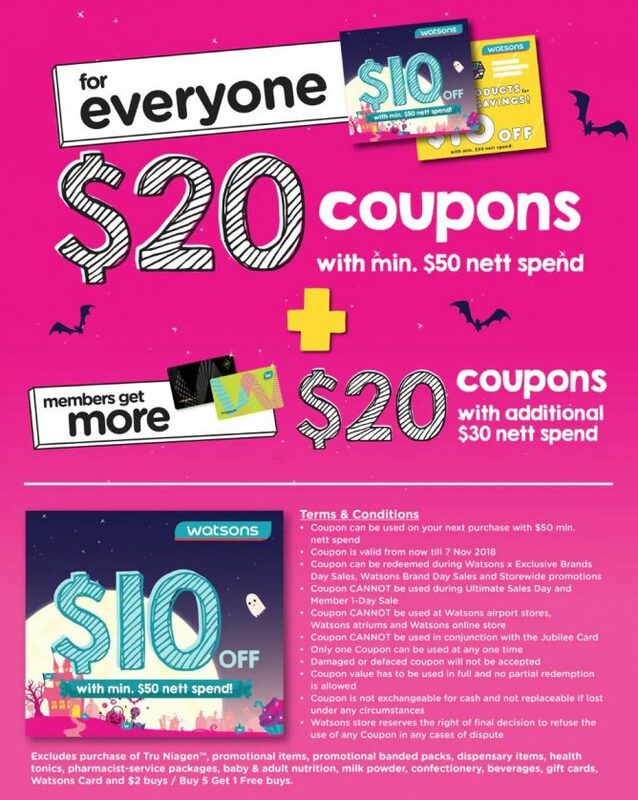 • Excludes purchase of Tru Niagen, promotional items, promotional banded packs, dispensary items, health tonics, pharmacist-service packages, baby & adult nutrition, milk powder, confectionary, beverages, gift cards, Watsons Card and $2 buys / Biu 5 Get 1 Free buys. Previous: [Yoox] Kids: One look for two!